You guys, I did something very drastic this summer! [if you follow me on IG you already know what it is, hehe] While visiting my family in Russia, I went to a local hairdresser and told him to chop off most of my hair, leaving it shoulder length at most. He reluctantly followed my wishes and chopped off the length, and I couldn’t be happier with the result! I also felt like changing up my hair color a bit and wanted to go a little lighter. In the end we decided on foilyage which will make my hair look amazing while it grows out. 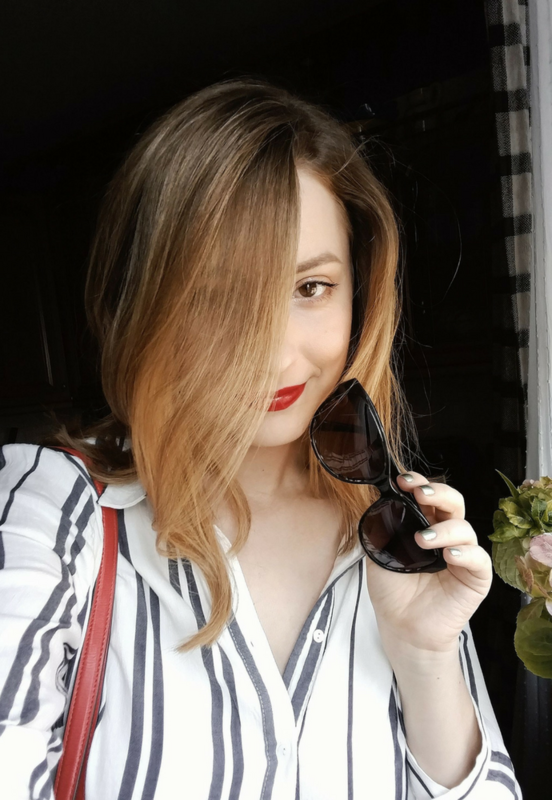 Foilyage is a technique that is recommended to deep brunettes, because traditional balyage might look too orange on us. The hair stylist still uses bleach to paint the hair, and then wraps the strands in foil to intensify the effect, resulting in lighter streaks. While this technique produces brighter and more vibrant results than traditional balyage, it’s also more damaging for the hair. I used to be able to get away with a weekly deep masque and a daily conditioner now and then, but once the hair has been processed with bleach, it requires a whole new level of care. That’s why I started using hair softening and protecting leave-in products right after I got my blonde highlights. 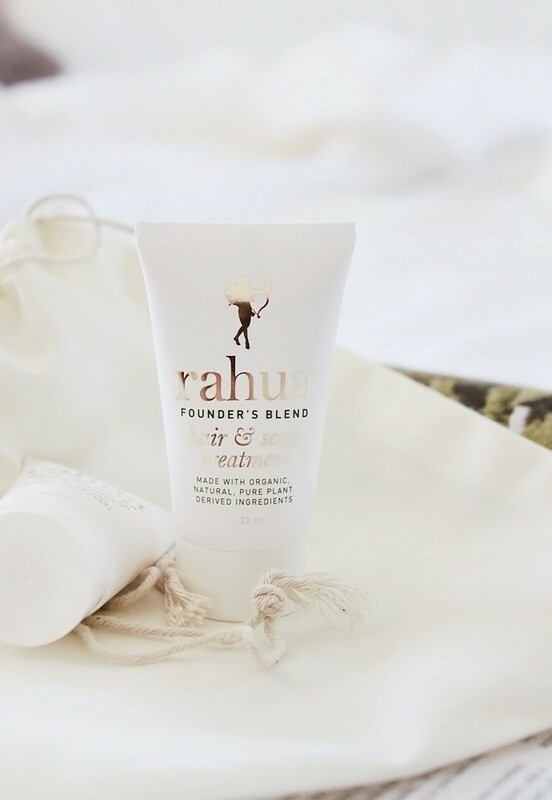 Right now I am using a limited edition Rahua Founder’s Blend Hair & Scalp Treatment (GWP, 22ml – $18 value), which you can receive with any purchase over $32 at rahua.com while supplies last. The treatment was created to celebrate the company’s 10-year anniversary as a special gift for the brand’s partners, loyal fans, and customers. Founder’s Blend is a hair and scalp treatment made with organic, pure ingredients, designed to nourish the scalp, soften the hair and protect it from heat and frizz. It can be used on wet or dry hair, so you can customize it to whatever works best for your hair type and texture. For me a dime-sized amount massaged into damp, towel-dried hair is the perfect amount. It has a lightweight, non-greasy texture and cream-like consistency, and sinks in right away. Fine hair can be tricky when it comes to leave-in products, but this one is just right. Rahua is a brand I discovered last year during my clean beauty experiment, and the few sample-sized products I got to try were all exceptional. I bought a travel set at Sephora during one of the sales, and my hair never looked better! The pricing is definitely on the high-end, but at least it’s somewhat justified because they use premium organic botanicals and the formulas are clean & non-toxic. Rahua is an Earth-friendly company on a mission to protect the Amazon and the traditions of the local people by using sustainable, fair trade ingredients wild-grown – never farmed – in the virgin rainforest. I feel good about supporting Rahua because every purchase benefits a noble cause and helps strengthen the economy of the indigenous tribes. Compassion is the most beautiful thing after all. P.S. : I listed the products I tried in the widget above. 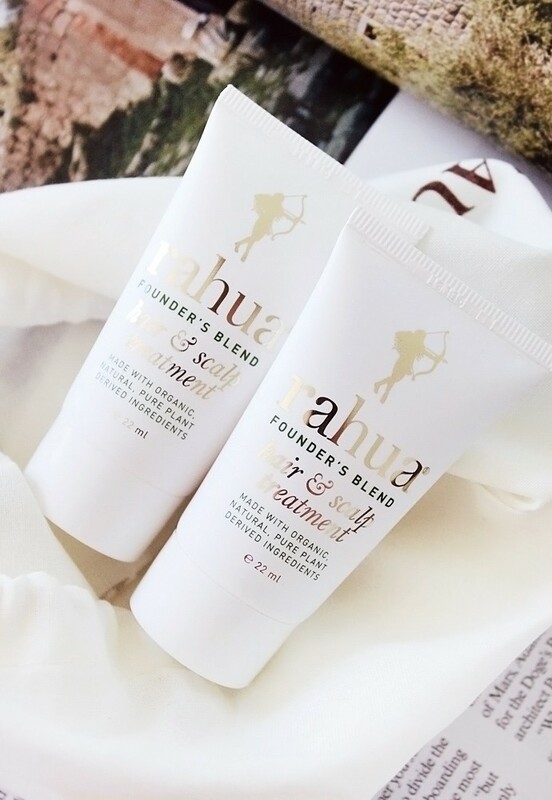 Have you tried Rahua products? Do you like to support companies that give back? Let me know in the comments below!